← Game 7: Efithor Vs GCWarrior: Seven Days of Starcraft! Pictures can be clicked for larger versions! Yesterdays game took place between an extremely stressed Efithor and my no doubt cool, calm and collected opponent, Ironcast. The reasons for my going into this game with an unhealthy level of stress resting on my shoulders are unimportant, but the effects on play performance are notable. In a game where one is oft separated by their opponent by only degrees, a single mistake can sound as a death knell, let alone many mistakes. This is the game where everything goes wrong, and we look at how to deal with a gaping hole in my current strategy. 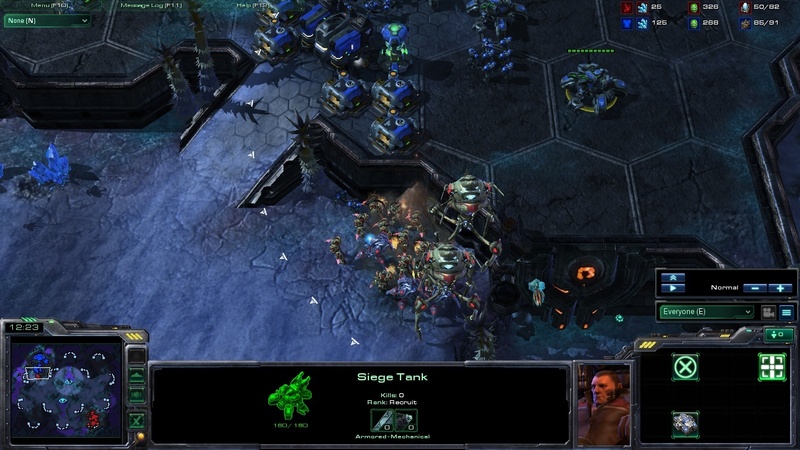 I decided to obtain fast colossus during this game as I knew my opponent would be obtaining infantry in large numbers. 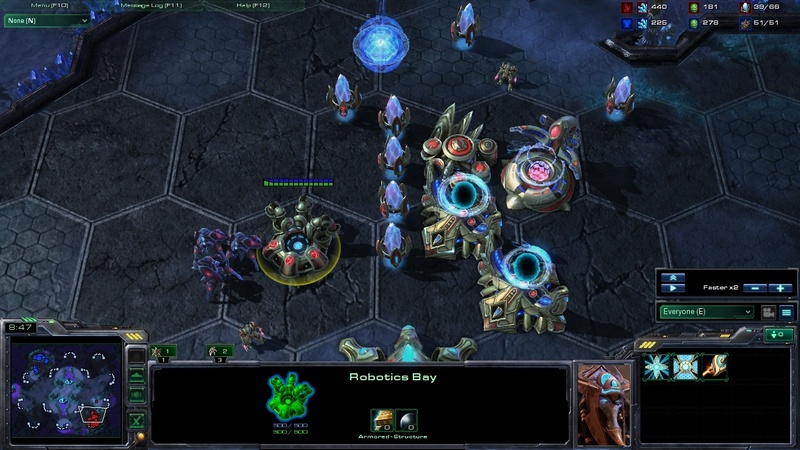 Any Terran player who does otherwise is either a fool or a genius before his time, and I was betting my opponent was neither, just a competent player. Ironcast, knowing that a direct confrontation would make utilizing his tanks difficult, opts to drop marines into my mineral line, exposing a key weakness of my play: I normally keep my army at the front of my base, leaving my mineral lines exposed. After I drive off the first attack, my stress-addled mind decides that the threat has been totally driven off, and it’s safe to return the main force to the front. Ironcast makes me pay for this, and kills almost every probe I own in a second drop. Too far behind to catch up, I take my army and charge his front in an all or nothing attempt. Suffice to say, it did not go well. A counterattack by Ironcast soon followed, ending the game. 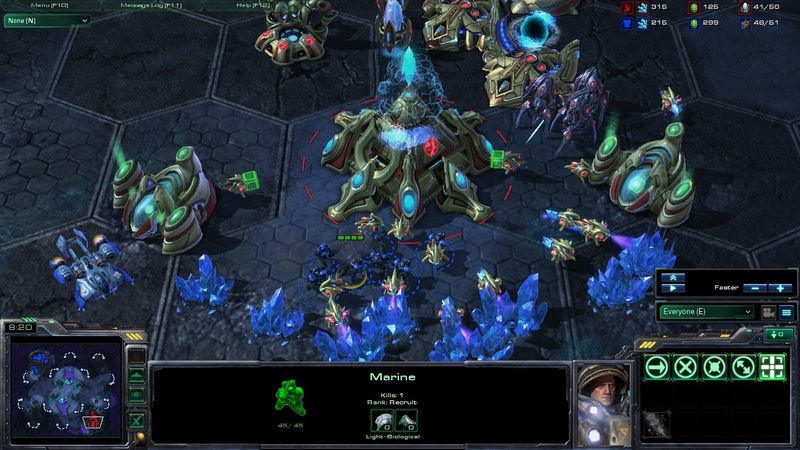 In order to deal with drops, I should, from now on, place my army at the back, near my mineral line. In order to face threats from the front, an observer or pylon placed far forward will provide ample warning of any incoming assault. Perhaps I should build a warp prism next game, to make my enemy pay for moving out against me with the blood of his own proletariat! Questions? Playstyle ideas? Protips? Comment Below! This entry was posted in Starcraft II and tagged Charge of the Light Brigade, Gaming, Ladder, PC, Platinum, SC2, Starcraft, Starcraft II. Bookmark the permalink. Game 7: Efithor Vs GCWarrior: Seven Days of Starcraft! 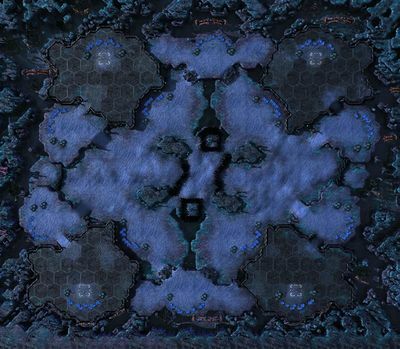 Game 5: Efithor Vs. Phenomenone: A Colossal Victory!